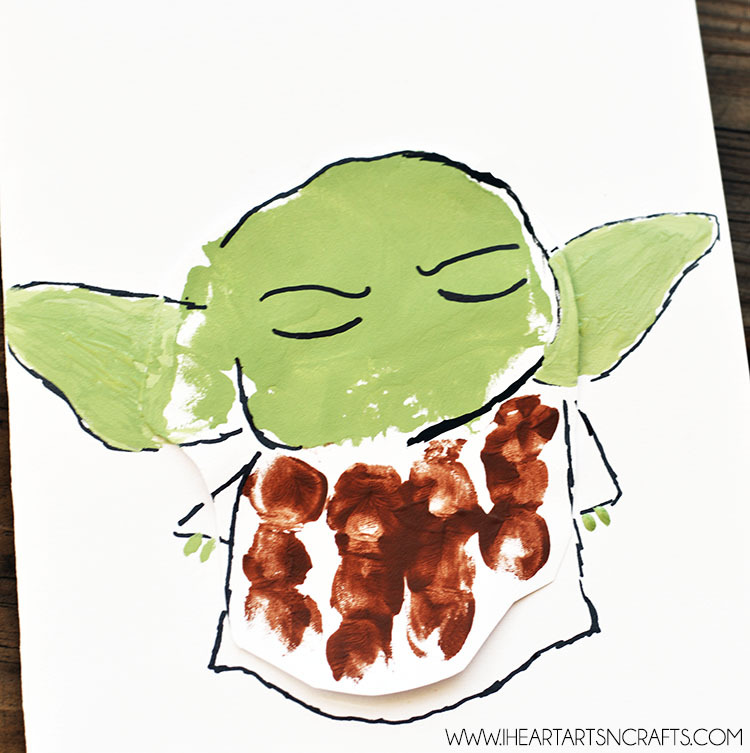 With May 4th approaching I thought it was only necessary to share a Star Wars craft for Star Wars Day. And the reason I know this, is because I have a few big Star Wars fans in our household. 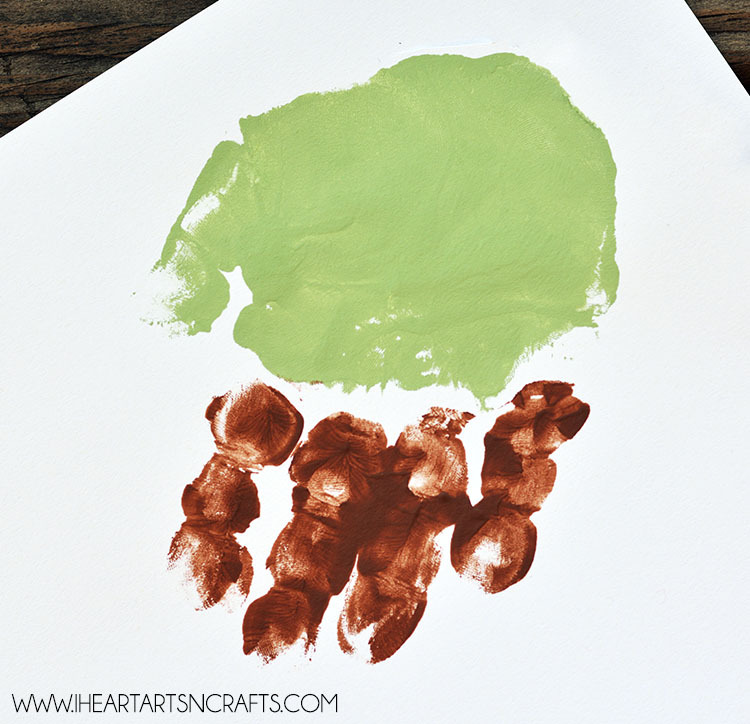 What perfect way to celebrate than with some of our favorite art, handprint art! 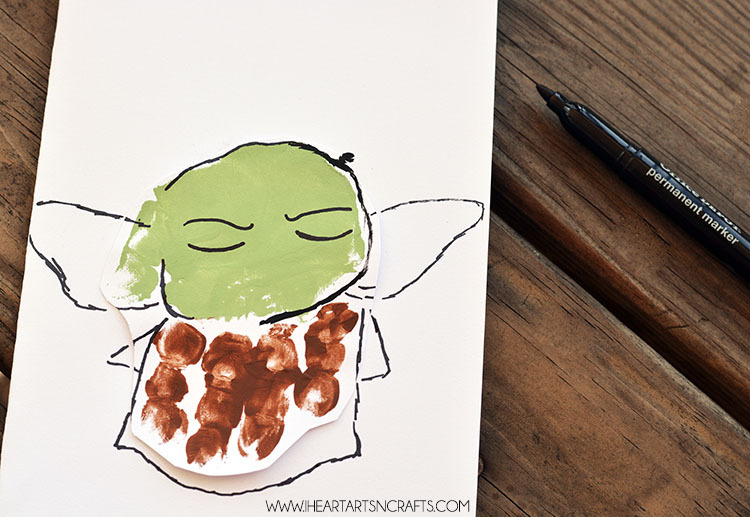 This may look a little tricky but I promise Yoda was pretty easy to do, I shared step by step photos to help you along the way! 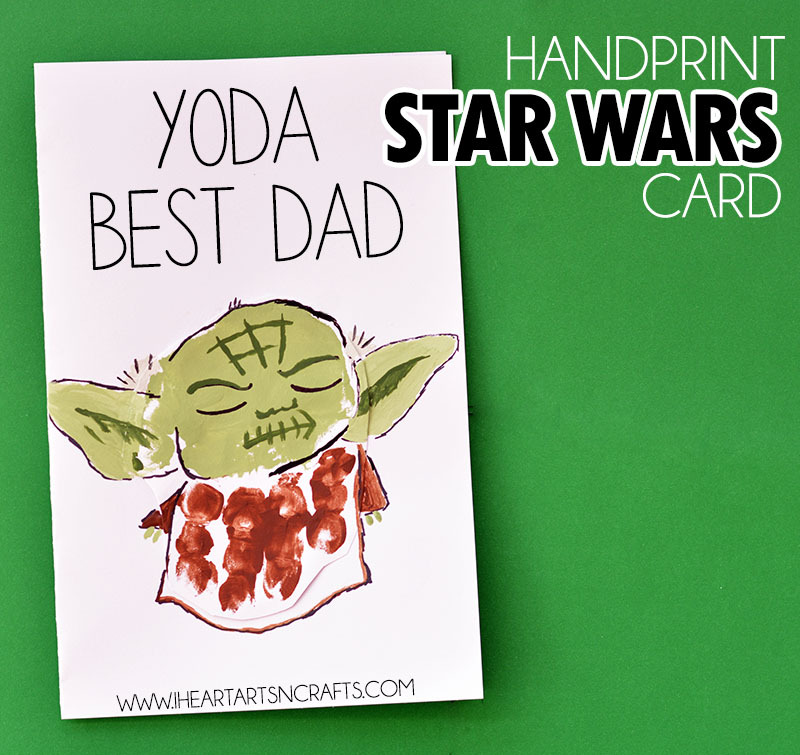 This card would make the perfect Father’s Day card for any dad’s that are Star Wars fans! – Green, Gray, Brown, and White Paint. 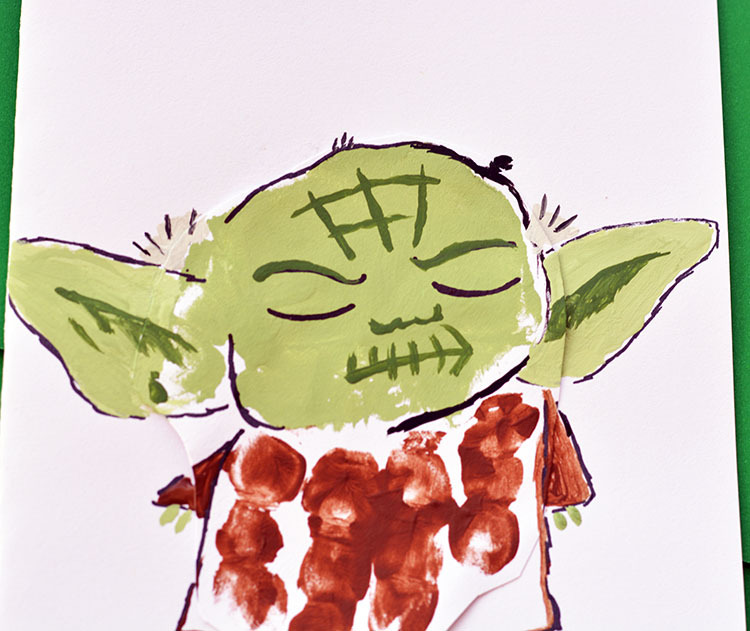 Start off by having your child paint their palm and thumb a light green color and their four fingers brown. Next take your black permanent marker and draw the outlines of the face and body like I did in the image below. Then you’ll take a light green color and fill in the face and ears. And finally for the little details of the face take a darker green color and add in the lines on the forehead, shade in the ear, and add in the mouth and nose. You can take some grey and add in some hair by the ears and on top of his head. Follow Jackie | I Heart Arts N Crafts’s board Handprint and Footprint Kids Art on Pinterest. Thanks for sharing this with us at Bloggers Brags Pinterest Party! Pinned this to our board! What a fabulous idea! We just made this card today for my husband’s birthday. He LOVED it! You can check them out on my blog https://gatherlovegrow.wordpress.com/2016/01/27/happy-birthday-jedi-papa/. I’ve also shared your post on my Pinterest page and my facebook page. Great Father’s Day gift idea! 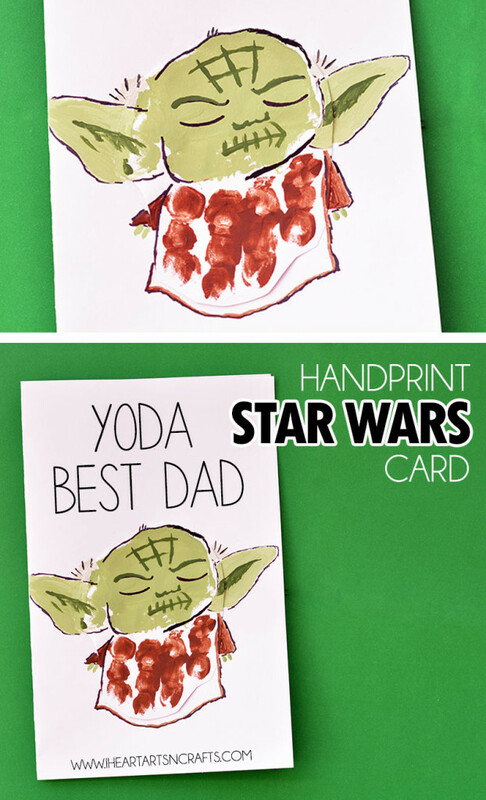 I’ve included it in my roundup of best Father’s Day crafts a toddler can make 🙂 I love your site btw!